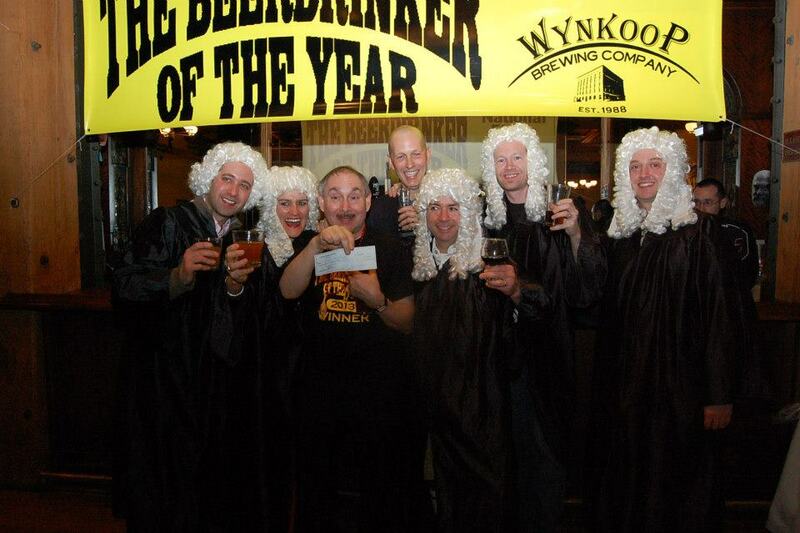 Some of the greatest beer minds in the country gathered at the Wynkoop Mercantile Room on Saturday for the National Finals of the 2013 Beerdrinker of the Year competition. I had the honor of being a judge (for the fourth straight year) along with outgoing champion J. Wilson, Wynkoop head brewer Andy Brown, Ginger Johnson – Women Enjoying Beer, and Kyle Clark - beer lover and anchor of Denver's 9-News. After more than two hours of questioning, presentations, and being asked to identify three different blind beer samples (Hoegaarden Wit, Fuller's ESB, and Odell Woodcut #5), Warren Monteiro a New York freelance writer, beer traveler, homebrewer, and beer columnist took home the top honors. Warren edged out Jen Schwertman, also from New York, and Kevin Cox of Muncie, Indiana to become the 17th Beerdrinker of the Year. All three finalists proved that they were more than worthy to be on the national stage with their deep knowledge of all things related to beer. Winning the Beerdrinker of the Year has nothing to do with quantity or speed - it has everything to do with passion, wit, and knowledge. And Warren proved that he is the type of person that any beer-lover would enjoy sitting down with for a few pints. Being a homebrewer helped Warren stay sharp on sensory perception and on top of the technical aspects of the brewing process. He also has a great deal of practice traveling the world gaining new beer-related experiences. He has sampled beers throughout the United States, Europe, Central America, India, Sri Lanka, and numerous other nations. In 2012 he visited breweries and beer festivals in England, Belgium, the Netherlands, and the US. As a matter of fact, Warren lives part of the year in London. He samples an average of 350 beers each year. It was a long trip, but Warren actually drove out to Denver from New York for the competition. I suspect he did this so he could tap a homebrewed cask-conditioned Firkin version of Pliney The Elder (a Double/Imperial IPA) during the event. (Warren drove, the Firkin rode shotgun...) If you love hops and missed it, I feel sorry for you. It was an excellent, well-balanced explosion of pine, citrus and malt. I loved it. The Mercantile Room crowd drained Warren's keg in less than one hour! This year's judging was extremely difficult due to the quality of the finalists, but in the end Warren squeaked ahead of the competition. All those at the event, judges and observers, hope to see Jen and Kevin back next year. It is good to be the winner! 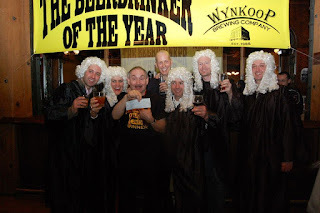 As the winner Warren will receive, among other things, $250 to spend at his home pub (Blind Tiger Ale House in New York), a beer brewed in his honor by the Wynkoop for next year’s competition, free beer for life at the Wynkoop Brewery, and worldwide recognition. It is always tough to not win, but Jen and Kevin should be very proud of their performances. I am sure both will be back in the finals in the future. Finally, I want to thank those of you that came downtown to take part in the event. I know I had a great time, as always, and I hope you all did also! 2014: Are you next? Start working on your resume!